This fun and practical training course is available now throughout Malaysia, including Kuala Lumpur. This Publisher 2010 Introduction training course can be delivered at your premises by one of our expert local or international trainers or live online using our HIVE technology. 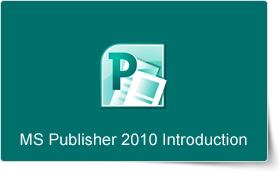 This Publisher 2010 Introduction training course running in Kuala Lumpur and Malaysia wide, teaches the core features and functions of Publisher 2010. Participants will learn how to navigate the Publisher interface, create and edit publications, arrange text and pictures, work with master pages, and create and format tables.